This item is affected by the 2018 Tariffs. Read More. Approximate shipping weight: 147 lbs. Seems to be well built and the, price and features make this a great value! Just received and assembled new drill press. Easy to assemble and worked great on first run. Looking forward to much use . 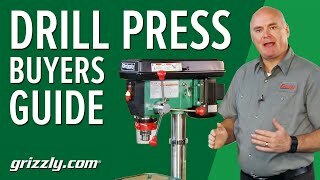 This radial arm drill press was recommended to me by a master woodworker and is exactly what I needed. Very easy assembly and great to use. Meets my woodworking needs. 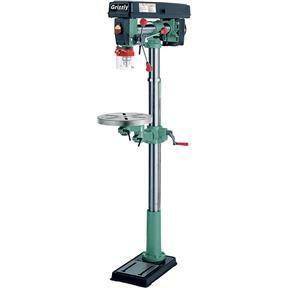 Just the drill press I wanted, it is great and easy to use. 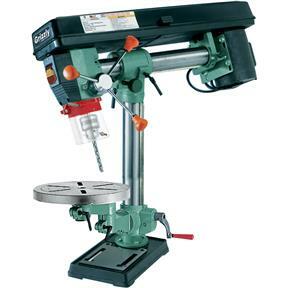 The drill press is a handful to assemble by yourself, but doable if you plan your moves wisely. The fan cover on the motor was dented when I unpacked it. The packaging was intact so I guess it left the factory that way. In order to use the machine immediately I had to hammer out the dent until the cover didn't interfere with the fan. I contacted tech support and they responded quickly and assured me a cover would be sent when they were back in stock. Service has been good so far, providing the fan cover arrives at the promised time. The machine runs well and, so far, has done whatever I have asked it to do. I bought this drill press to put in wood working shop the motor would not drill 1 inch thick oak with out tripping the centrifical switch inside of motor had to put 3/4 horse power motor on it. Exactly as advertised, very quick shipment, assembled easily, great price, works well. For compound angles I really have to tighten extremely hard the screws to keep everything in place. I bought this drill press in June and so far it has performed in every way I have used it. My only complaint is with this machine anchored to the floor, there is vibration from the column not being heavy enough gage thickness to provide rigidity of drill presses manufactured in the years past. If this machine were to have a heavy gage column of drill presses made in the past, this would be one incredible machine. Has been everything I hoped for - great fit and finish! 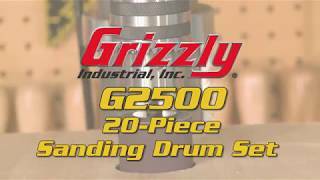 I've been looking for a way to bore large diameter pocket holes, and this drill presses versatility makes this easy. Solid and heavy, I am still amazed every time I walk out in my shop that I got this drill press for that price, wow. Thanks Grizzly. I like the features and for the money it's amazing. I wish they had one that was more heavy duty. I'd pay double for it or more. Unfortunately I couldn't find anything in that price range from any company.